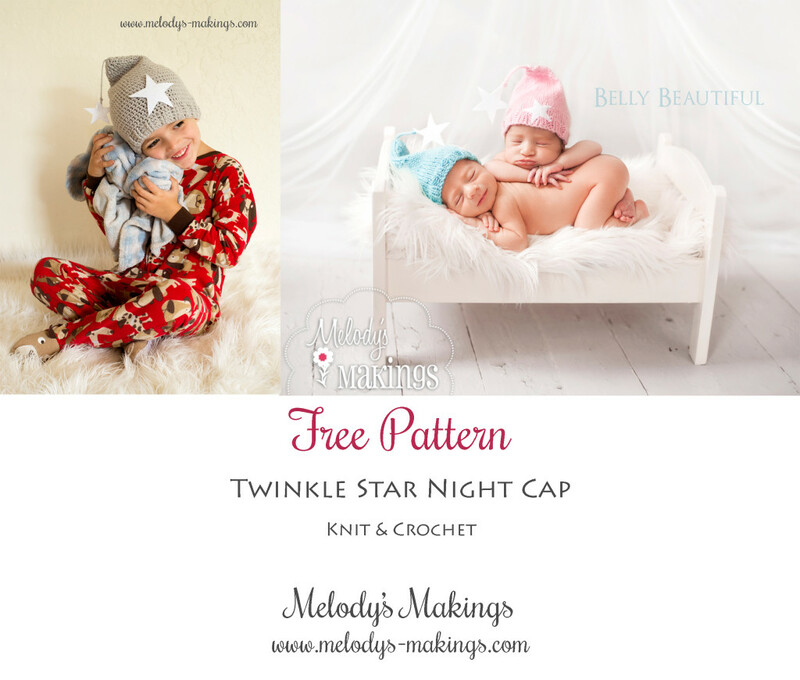 Twinkle Star Night Cap Pattern – FREEBIE! Time and time again I’m reminded of the beauty in simplicity. Don’t get me wrong – I love a complex, gorgeous, time-consuming project as much as the next girl….but those aren’t the ones that I end up coming back to over and over again. I’m much more likely to return to a simple, sweet, and quick pattern that I can whip out in just a few hours. That’s one reason why I’ve always loved my Twinkle Star Night Cap Pattern. The shape of the hat is super adorable and versatile, and it’s a quick and simple project. I’m excited to share the pattern with you as my latest retired freebie! And, since you know how I hate to leave the crocheters out, I’ve even gone ahead and created a brand new crochet version too. Charlie, my 4 year old son, modeled it for me in his jammies with his favorite blanket, “Blue.” I’m gonna treasure the photo forever! 2. Then, if you’re a Ravelry user, please take a quick moment to “Favorite” and “Queue” the pattern over there! Click here to find the crochet Ravelry page or click here to find the knit Ravelry page. 3. Then come back here, download, and enjoy your pattern! Click here for the crochet version. Click here for the knit version. Thank you Melody for yet another lovely pattern! Charlie looks super cute with ‘blue’! Thank you for sharing this pattern with us. It is adorable. ! I am looking forward to making this hat for the full term NICU babies. 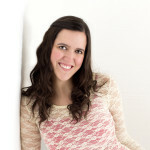 It is such a nice thing to read your blog every week. Just wanted to take a minute to thank you for the free patterns. They are absolutely adorable. This hat is so adorable, Thank you so much. Thank you so much for sharing such an adorable pattern!! I appreciate your hard work and creativity!!! Thank you Melody for the patterns, as I knit and crochet it is wonderful that you give us the patterns in both…think my grandbabies will need these. Have you put your Etsy shop into ‘vacation’ mode yet? Thank you for another perfect pattern. This is perfect for my grand kids. Thank you so much. Love this pattern and so many of your other ones too. Lovely patterns. Thank you for this cute free pattern! Melody, these are adorable! Thank you for sharing! Enjoy your last few days….hope the new bundle arrives soon! WALK a lot! it helps….day before my first one was born (she was two weeks late!) I must have walked 6-7 miles! – next morning – SURPRISE! Are you clicking on the link on this page to download? And it just keeps coming back to the same page? Thank you Melody! Adorable little baby hat. Thank you, I have been looking for preemie patterns hats and clothing. This is just the sweetest little hat. Once again, thank you Melody. They are so cute, the beanies are cute too. Thanks for sharing. So sweet– my daughter will love thishat! Shared and added to Revelry. Thank you so much. This is going to be perfect for my grandson due on Jan. 23, 2019. He will need it in the Colorado winter.